Eugen M. Bacon, MA, MSc, PhD studied at Maritime Campus, University of Greenwich, less than two minutes’ walk from The Royal Observatory of the Greenwich Meridian. A computer graduate mentally re-engineered into creative writing, Eugen has published over 100 short stories and creative articles, and has recently completed a creative non-fiction book and a literary speculative novel. 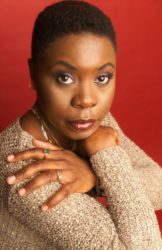 Her creative work has appeared in Meniscus, TEXT Journal, Mascara Literary Review, Antic Journal, Australasian Review of African Studies (ARAS) and through Routledge in New Writing, The International Journal for the Practice and Theory of Creative Writing. Five days after Ma yielded to whooping cough, your adolescent self inherited the plough, the yoke, the axe and the winnower. You were cut to be a farmer. You and the soft black earth that crumbled through your fingers and smelled of stone, peat and swamp were one. Then one dusk Baba tapped you on the elbow. He was wearing his wide-brimmed hat, the high-crowned one, his favourite for travelling. He led you to his beaten up truck, offered no hand to guide your scramble up. Headlights came on, and your world lit up like a shooting star. ‘Take the wheel.’ Gravel in his voice. You listened fiercely to your instinct to run, but took the wheel. He climbed beside you, watched as you turned the ignition. The engine started and the truck jumped. It trundled forward, juddered, trolled and shuddered. It took your stomach away, but you clung to the steering. And then a clean roll forward. As the truck picked up speed along the dirt, across the grass and over cow poop, Baba pulled his seat and leaned back. He drew the hat over his face and began to snore. The hush of a turned off engine roused him. He tipped back the hat, looked around. The truck was back in the barn. Now you drive as though you and the truck are one. It understands your intentions, flows with them. You have only to look in a direction, and the truck trails. You will it to halt and its wheels slowly reel until they lock to the ground, Ma whistling in the wind.